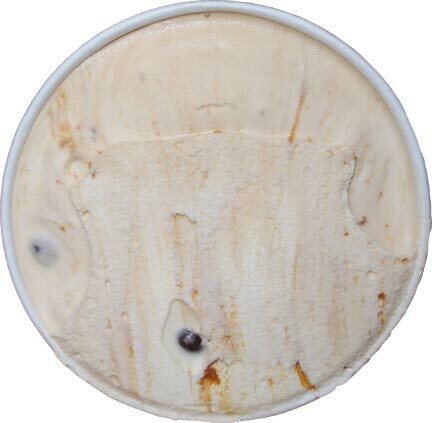 [2015-2016] Geez, is it already time for our 5th frozen custard review? Fairly promising start with plenty of streaks and two bits visible. The post-scooping shot has your attention I bet. Now I'm never sure if i should eat the melted part or the solid part first... ah, let's go melted today. Ok, well, it's salty and it's caramel. Maybe a little bit of a thicker/eggy/gummy finish. Since it's custard, I don't think everything comes across the same as I'm use too (remember, custard isn't much of a thing in these parts). 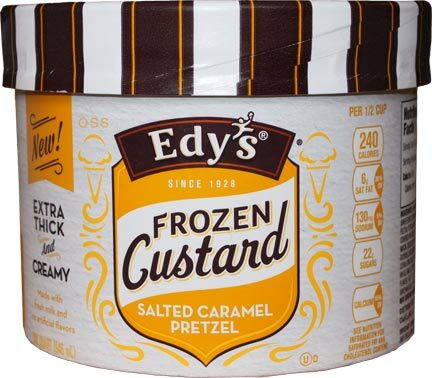 Yeah, plenty of salty caramel going on here, but let's try a pretzel. Yeah, these pretzel balls are huge! Mmmmm, crunchy, plenty of salty pretzel flavor. It's so hard for pretzels to stay crunchy in ice cream, but they've thought ahead and these dense round pretzel bits coated in chocolate are perfect for ice cream. Ahhh, bum, that one wasnt crunchy, but the other 6-7 were. Ok, another crunchy one, that's good. And my bowl is empty already, that was quick. There is definitely a lingering saltiness floating around afterwards. On my next bowl I think I will to snag some pretzels first since they will linger and help accentuate the base. At the moment the only thing I would like is a bit more chocolate on my pretzels, but I understand that you want enough chocolate to keep the pretzels crunchy but not so much as to cancel out some of the caramel base flavor. Oh, I should mention the swirl.... which I didn't really seperate from the base on this first scooping. Ahhh, something to talk about next time. 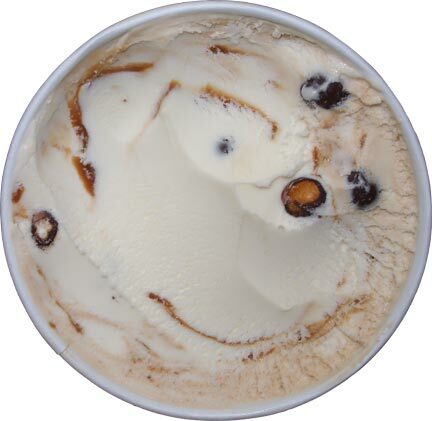 On Second Scoop: Let's go with a big scoop of caramel puddle first, and it's just fine. Rich, buttery, salty as you'd expect. Oh, wait, I kind of wanted to start off by saying that like Nick, I too am growing weary of the salted caramel craze. If it's your thing, I'm not picking, it's just not my go to. I'd rather have caramel be a supporting/enhancing player, not the main player like it is here. Ok, back to aiming for the soft edges to help mitigate any gummy factors here. It's not frozen dairy dessert gummy, and it's nice and cold, but since I've just come off trying the very clean Turkey Hill gelato, I think the texture profile strikes me as a bit more off. Nothing terrible, just be aware. It's not a bad product, it's decent, you should be fine, there's just no wow factor to click in a repeat purchase. 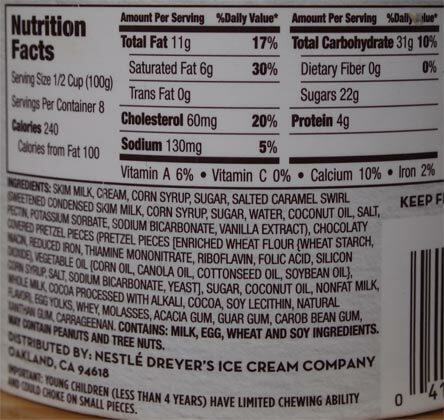 may contain peanuts and tree nuts? Uggg. Also over the whole salted caramel thing! It's being done to death. Don't think it's a classic that will stick around. Dubba, thought of you tonight when I saw Turkey Hill Phillies Graham Slam flavor. I searched the blog but couldn't see if you'd reviewed it? I don't think it's new. Graham ice cream with marshmallow cups and a graham swirl. I'm a fellow graham fan but ice cream wasn't in the budget tonight. They have two other baseball flavors as well. I know you have probably said this at some point here on your blog, but just out of curiousity what are your top 10 favorite ice creams of all time Dubba/Nick? Anon: We have had that flavor here in NJ for years! It's one of my favorites along with Batter Up! Sophie, I can only think of two flavors I'd rate as my Top flavor of all time and That's Graeter's Buckeye Blitz and The Gelato Fiasco's Torched Marshmallow S'more Gelato. As for the next 8, it's interchangeable depending on mood. I almost bought this but I'm glad that I decided to wait and read your review. I don't think I've ever had frozen custard.